The New Year is upon us and one of top resolutions on people's lists is to be healthier. That means a lot of people at the gym this month, but also a time where people really think about the food that they eat. I know I was starting to feel a little blah from all the Holiday food and felt like I needed to reset my body. 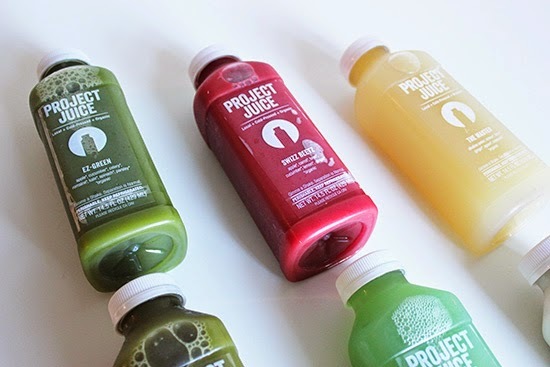 I tried out a Juice Cleanse for a day c/o Project Juice and thought now would be a good time to share my experience of that day. It just might be what you need to kick start your healthy lifestyle for the year. 9:02 am - Drink my first juice (EZ-Green) while Armando tortures me with a hearty breakfast of sausage, eggs, beans and rice. Juice tasted most like celery - but was not too jealous of Armando's breakfast. 9:29 am - Finished EZ-Green juice. As I drank it I got used to the flavor. Believing that it was good for me helped me power through it too. 12:05 pm - Finished my juice and focused on giving myself a mani to keep my hands busy from running to the pantry. 2:44 pm - Tasted The Master after returning home from picking up my dry-cleaning across the street. The Master is alkaline water, lemon, lime, ginger, agave and cayenne. The cayenne definitely has a kick, but I was not a fan. 3:36 pm - Still working my way through The Master Juice. Not easy drinking this one. 3:54 pm - Halfway through The Master juice. 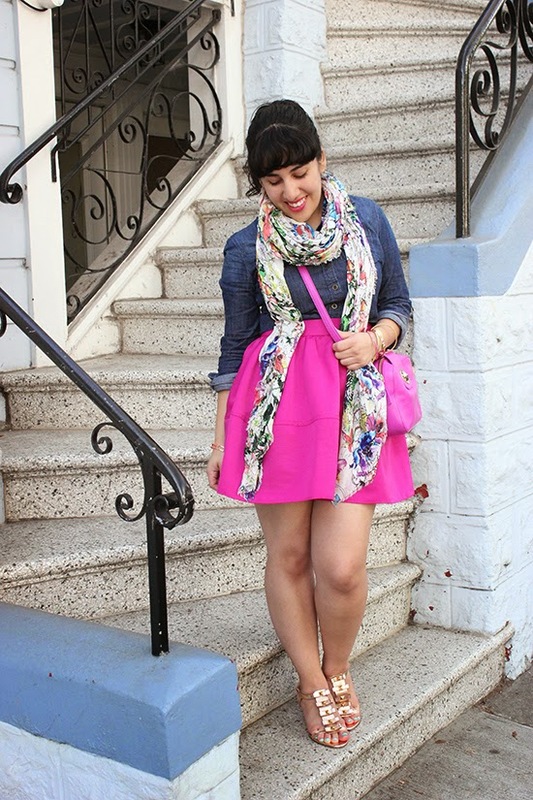 Sorting through photos on the desktop for my next post, so I guess this is also distracting. 4:52 pm - Finally finished The Master juice. Cannot believe it took me this long to finish it, but I have been pretty productive with my photo sorting and prepping blog posts. Will probably need to start my next Juice soon. 5:20 pm - Feeling hungry, must.... grab.... next juice! Opened my fridge and my sense of smell picked up the other tantalizing/tempting options in the fridge. Quickly grabbed the EZ-Green juice I needed to drink next and went back to the computer to focus on a blog post. 5:47 pm - Halfway through this bottle and off to run some quick errands. 6:24 pm Arrived at Cinnaholics to pick up 2 cinnamon rolls for Armando before his Groupon expired. This part of my day was pure torture, but I had my EZ- Green juice to drink on my way back as I held on to the boxes of Cinnamon roll goodness. 8:00 pm Finished the rest of the D-Tox juice. So far this was my favorite of all the juices and I would definitely buy this one again. It was sweet and I could not believe it was actually good for me despite the amount of sugar it has. 8:18 pm - Started the Almond Mylk and it is a lot more appetizing than the green juices. I am proud of myself for making it a whole day without breaking down and rushing to the kitchen to stuff my face with junk food. I think of this as I hear Armando eating cereal. 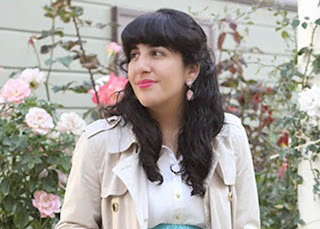 8:25 pm - Completed a blog post and wonder what I will do next when I finish my Almond Mylk. 9:50 pm - Finished last bits of Almond Mylk and prepared for bed. Stomach still feels slightly empty, but won't be grabbing anything solid to eat until tomorrow morning. 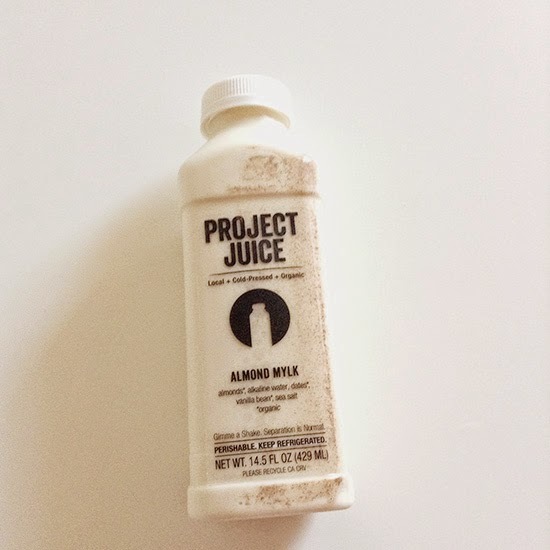 Project Juice is a San Francisco based company that cold-presses their juices and nut mylks and uses fresh and locally-sourced ingredients. 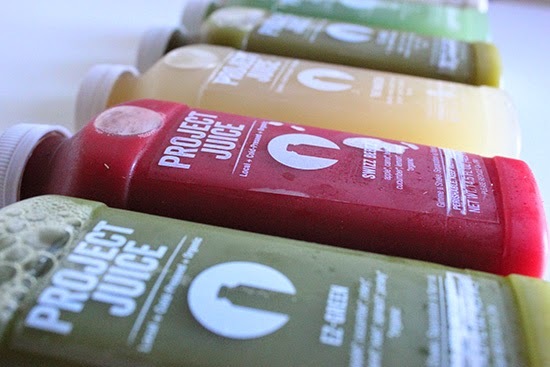 You can find their juices in SF or shop their juices online here. 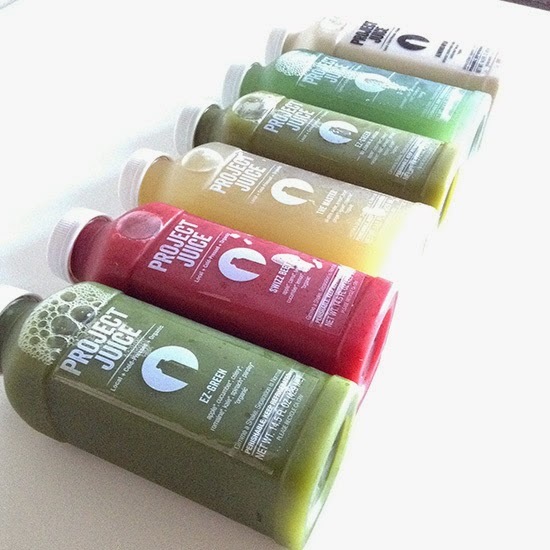 Have you tried a juice cleanse before? Let me know how your experience was and if you would do it again. 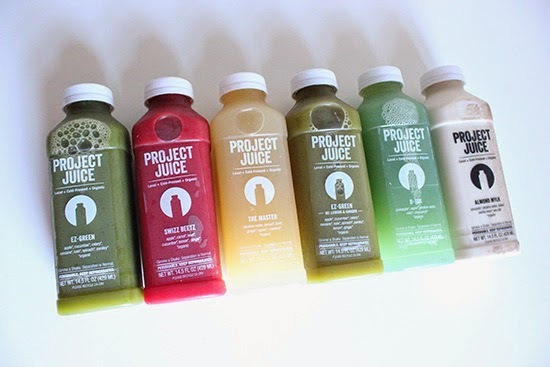 Disclosure: Juice cleanse provided by Project Juice. All opinions and views expressed are my own.